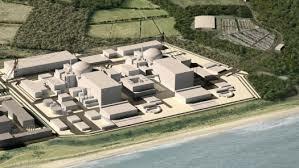 Our draft response to the Sizewell C Consultation can be found HERE. A template for use by our members can be found below in both Word and PDF format. PLEASE RESPOND BY MARCH 29TH. When responding to EDF and SPR it would be a great idea to attach any photos you have of the roundabout and other areas likely to be heavily impacted by the construction traffic. More photos of how impossible it will be for over 110 HGVs a day to trurn at the roundabout the better. The Society has drafted its response to the SPR consultation phase 4. This can be found via the button right. This may still change. Please remember to get your responses in by March 26th. Note you need to respond twice. ​ To ScottishPower Renewables East Anglia ONE North and to ScottishPower Renewables East Anglia TWO. To help you we have also produced a template for our members to use. This can be found below. And in PDF format HERE. The Aldeburgh Society has written to Barclays and Therese Coffey, MP to object to the closure of the branch in Aldeburgh High Street noting that this move will adversely affect the vulnerable and in particular the elderly, many of whom cannot get to Leiston and many of whom are not on the internet. We also pointed out that the cash dispenser in Barclays is the only one in the centre of the Town which is open 24 hours, that the one inside the Post Office can only be used when the Post Office is open and that a busy holiday town like Aldeburgh surely needs a 24 hours cash facility in its High Street where for example all the shops are open on a Sunday. Barclays are not prepared to reconsider the decision to close but are amenable to discussing the placing of the ATM in another Aldeburgh High Street retail outlet. We have relayed this to the Town Council and the Aldeburgh Business Association. 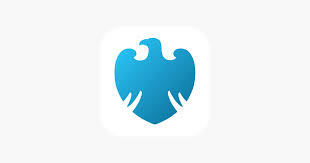 Barclays have reiterated that they will not reconsider and have explained that they are running “Tea and Tech” sessions at the Branch and at the Fairfield Centre. All events start from 10:00am. WINDFARM. DISAPPOINTING CONCLUSIONS FROM CONSULTATION. The Society is very disappointed with the Scottish Power Renewables response to the latest round of consultations. They still favour the Friston site and have not addressed the Society's real concerns over traffic through Aldeburgh. See the conclusions and the Society's response to them by clicking on the buttons below. .We are receiving many representations on this closure which will affect so many of our members, particularly the elderly. Many of us cannot get to Leiston. Many of us are not able or are unwilling to use online banking because of the risk of fraud. Also if people are expected to go to the Post Office this is not big enough to handle the potential increased traffic. The cash dispenser in Barclays is the only one in the centre of the Town which is open 24 hours. There is one inside the Post Office but this can only be used when the Post Office is open. A busy holiday town like Aldeburgh surely needs a 24 hours cash facility in its High Street where for example all the shops are open on a Sunday. We have taken the matter up with the Regional Director for Barclays and you can see a copy of our letter below. The potential closure will remove an important amenity from our Town. We have been in contact with our MP and are liaising with Aldeburgh Town Council. We had an excellent presentation from Nick Hulme the Chief Executive of East Suffolk and North Essex Foundation Trust on the future of the NHS and the merger of Colchester and Ipswich Hospitals. You can see his slide presentation by clicking on the button below. The Planning Inspector has refused MS Oakes’ appeal to build 43 homes in our AONB. She found there were no exceptional circumstances allowing such a major development at the old Brickfields site in the AONB. This represents a real success for the Aldeburgh Town Council which was represented on the appeal with support from the Aldeburgh Society and members and residents who kindly helped fund the costs. It is also of course a real victory for the AONB and Aldeburgh and will set an important precedent. Thank you all for your support and contributions. ​You can read the inspectors decision by clicking on the button right. The Aldeburgh Society’s response to East Anglia Two and One North Offshore Wind Farm’s phase 3.5 Public Consultation Exercise can be found by clicking on the button below. We have serious reservations about the plans and are very worried about the routing of construction traffic through the Aldeburgh roundabout. ​Scottish Power Renewables have reacted to strong objections to their plans to support these windfarms by building substations inland away from the coast at Friston by running an additional Phase of Consultation ‘Phase 3.5’ which includes the proposal to site the substations on land to the west of the Sizewell. The Phase 3.5 Consultation has been extended and will now run to 12th November. SPR’s amended SoCC (Statement of Community Consultation) reflects the ‘alternative option’ of siting the substation at Broom Covert, Sizewell in the AONB. It also sets out the proposed construction traffic and transportation aspects of the projects which are very concerning to the Society. Irrespective of which site is chosen for the substations, it is now clear that the plan is to route HGVs used in the construction of the landfall site at Thorpeness from the A12 down the A1094 to Aldeburgh and up the B1122 to the B1353 and to Thorpeness. This means HGVs coming into Aldeburgh down the Saxmundham Road and turning at the Roundabout to take the Leiston Road. SPR claim that the route is wide enough to allow two way HGV traffic. Aldeburgh residents know full well that this is not credible. In addition the Roundabout is always congested and is used by schoolchildren on their way to and from Aldeburgh primary school, residents going to the two supermarkets and the pub as well as those using the Jubilee Path. This new consultation has revealed just how damaging these proposal are for the entire region and the Aldeburgh Society will be objecting strongly to what is emerging as a plan to turn East Suffolk into an Energy Hub.emerging as a plan to turn East Suffolk into an Energy Hub. ​We will be repeating our original objection that “Buildings of this type should not be built in an AONB and the NPPF states that development in an AONB should only take place in exceptional circumstances. We note that the substations for EA1 (South) are being placed many miles inland and we would recommend a similar approach for these proposed wind farms. The substations should be sited away from villages and well screened.” And adding our objection to the proposed transport route.